Well it's not all that awful but some of the songwriting and some of the vocals are shocking and not pleasant to the ears. The problem I have with Little Mix is that the voices don't go together well. It's forgiveable in a track like Wings because the beat is just so catchy, but in slower songs it's more noticeable especially when that one Little Mix members wants to scream, use swooping portamento and long vocal runs that don't sound good at all. The others I don't mind because their voices suit being in a girlband, just not that one girl. Anyways, it's alright, no real outstanding stuff (although I did really like Turn Your Face). Will be interesting to see what they offer next. Thank goodness for Little Mix for saving the quality and standards of British girlbands! Fresh and with fantastic vocals a good full album. 1 week UK top 10. 36 weeks in the UK top 100. UK#3 and Ireland#3. US#4. 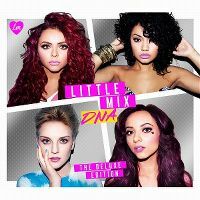 416,000 copies sold in the UK. 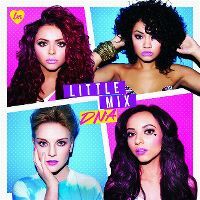 The biggest selling girlband album of 2012 in the UK.